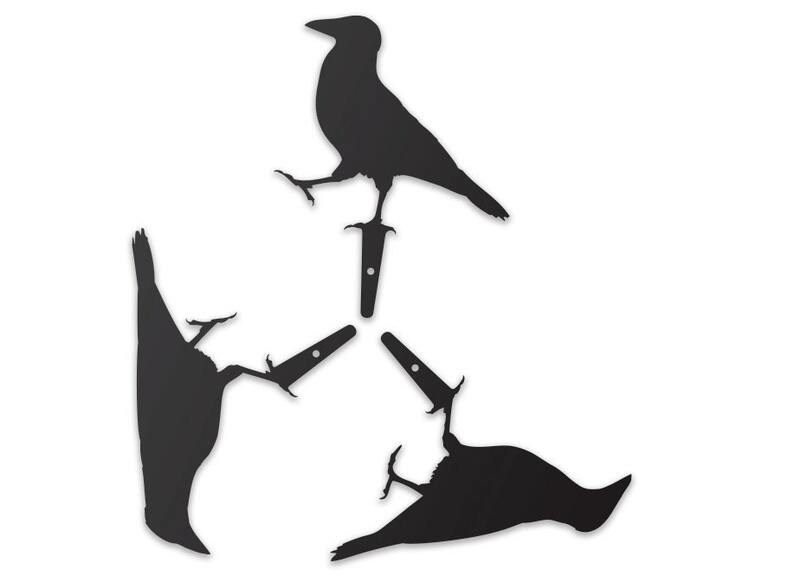 The Crow Brother Birds live in your garden - in the lawn, screwed to a fence / balcony. 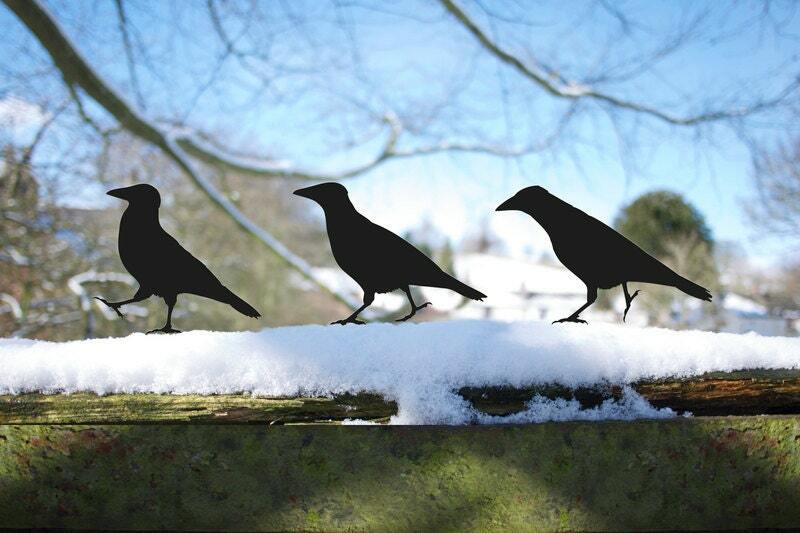 The birds are made from 2.5mm powder-coated black steel and is suitable to go in the earth between the flowers or into the lawn. 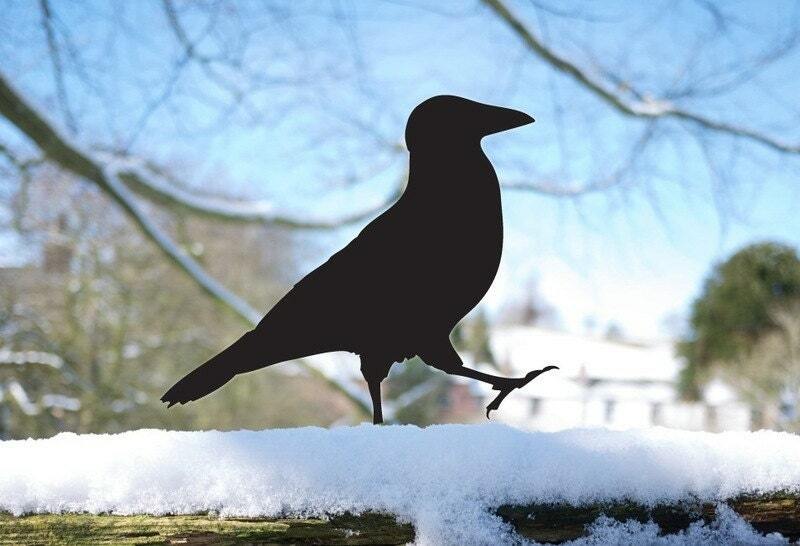 Each of the Raven Brothers have 1 screw hole, so they can also live on top of a fence, a gate or a post box. (no screws are supplied). 3 x approx. 8.5" x 8"
3 x approx. 10.5" x 10"
Please note : this is NOT a toy. As with anything sharp, it should be positioned or stored in a safe place. 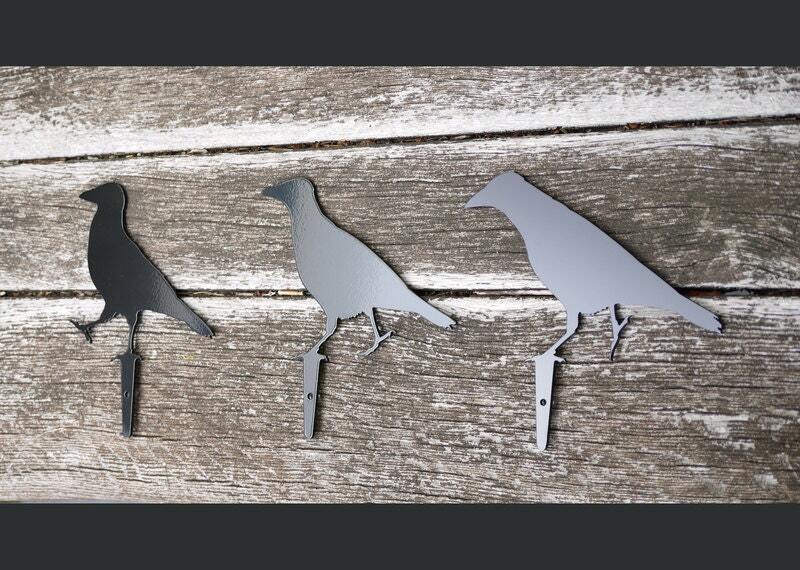 Very Cool Crows for the fence. Thanks! These are well made. However, they are much smaller than I was anticipating. I was hoping they would be the size of an average North American crow. 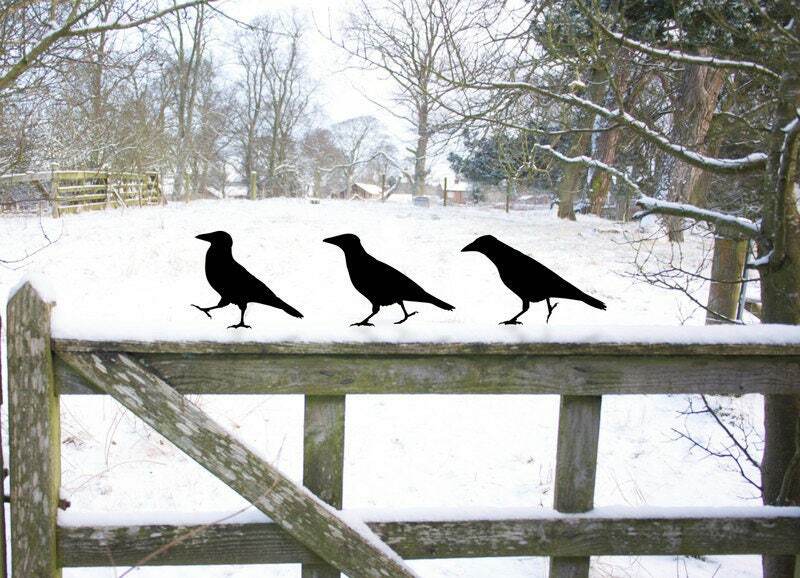 While the aspect is crow-like, they are the size of a small starling. Unfortunately I cannot use them as planned.